Obviously, the ‘best’ climbing is subjective. Climbing styles and abilities vary from person to person. But for those searching for some recommendations of places to check out, here are a few of my favourites from the places I have travelled over the years, with links to further information on the areas. The Boardroom Climbing Centre (Cheshire). The Boardroom is one of my favourite places to climb indoors for one very simple reason. They have a simulated 8m high Psicobloc, which turns out to be the only one in Europe, and one of only a handful in the entire world. 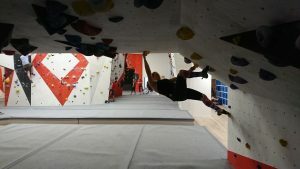 They also have a bunch of other good bouldering, some classy route sections, a neat little training room including a lattice board and a slackline, and they serve delicious food as well, such as home-made pizzas. The prices are reasonable too! Awesome Walls is a chain (I know I know, but these days it’s becoming increasingly difficult to avoid chains!) with climbing centres based in Sheffield, Stockport, Stoke, and Liverpool. 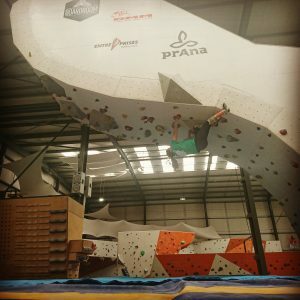 They are known for their big walls and long routes (Sheffield has a 23m competition wall, overhanging by 12m), and from my experience always contain nice training areas (the one in Sheffield is a nice platform from which to view the big wall and has a few slacklines set up as well!). Awesome Walls often holds lead competitions in particular, but I have also seen Speed Climbing being practised there and the bouldering isn’t too bad either! They also do a pretty nifty loyalty card and membership is valid across their different sites. Ice Factor brings something altogether different to this party. Not only does it consistently rank in the best climbing centres in the world, and not only are its walls some of the highest in the U.K., but as the name suggests, it holds the biggest indoor ice climbing wall in the world. Despite being a bit out in the sticks for the majority of us, the trek is definitely worth it for some quality time on the ice whilst not leaving the U.K.! I can’t recommend Wales enough for it’s incredible climbing across several different disciplines and nearly all types of rock. Multi-pitch climbs in Snowdonia such as those on Tryfan are such joys to climb. The glorious slate close to Llanberis, and the boulders around the pass. Epic trad climbs at Gogarth and of course down south in Pembroke, along with some absolute gems of all kinds in the Gower as well. Wales has a magic about it that I haven’t quite managed to find anywhere else, and the Welsh people are some of the loveliest you’ll ever meet! St Bees is a bit of a gem of a find, even if you’re not looking to climb. The walk-in can be a bit of an adventure in its own right, with the bouldering nestled in a sun-trap next to the sea, underneath the 100m+ cliffs of St Bees Head and the watchful eye of an old lighthouse, a couple of seals, and in the distance, the Isle of Man. The climbing here is sandstone bouldering mainly, with some sport routes that can be a bit seepy and restricted due to the nesting birds at certain times of the year, but definitely has something to suit every style, and is beautiful to look at. Instagram coming at ya. Whilst being a bit of a trek to get to for most Brits (north-west highlands), Torridon has a brilliant number of sandstone boulders in an area of outstanding natural beauty on the coast, along with some trad climbs and if the conditions are right, even some winter climbs. Be careful with some of the grades around here though, as they can be a bit sandbagged at times, or even feel too easy! I know I said this blog was about some of my favourite places to climb in the UK, but I couldn’t help but recommend some other places further afield (besides the obvious choices like America, Spain, Font, etc…) if you the time, money, and opportunity. Climbing amongst the very different type of (soft) sandstone found in the deserts here is simply spectacular, and to be honest, sometimes rather scary! But it is always thrilling, beautiful, and again, there is something for everyone. The locals are incredible and happy to guide you around what is sure to be a memorable experience even if you don’t climb. 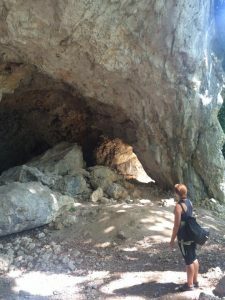 However, be sure to bring your own gear and do your own organising and planning of the trip, as climbing as the western world knows it is very different to life in the small village of Rum. Perhaps the most extensive climbing area in Slovenia, hidden away in the forest near Celje is one of the most incredible crags I have ever laid my eyes on. 11 sectors containing a total of 334 routes, the sport climbs here are world class and spans every style you can think of. Not too hot in the summers since the trees shade most of the sectors, the walk-in to the furthest sector only takes 35 minutes. 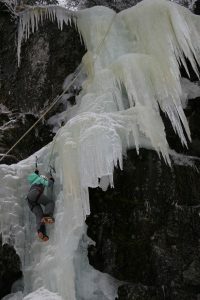 Rjukan is a bit of an ice climbing Mecca. Road-side cragging situated just a few hours from Oslo, it is achievable to get a few decent ascents in even if you’re only visiting for a long weekend. The Old School Hostel is a hub for visiting ice climbers and a test centre for Black Diamond, and the area as a whole is magical for beginners and advanced alike. With the Gaustatoppen Ski Resort situated a free bus ride away up one side of the valley, it is even possible to make the trip using only public transport.